Borjan derives its name, from the local language ‘BOR’ meaning big & ‘JAN’ meaning stream. Records, that are now made available, reveal that there were two such big streams. The estate has three divisions namely Borjan, Bhatobari and Chotajan divisions. 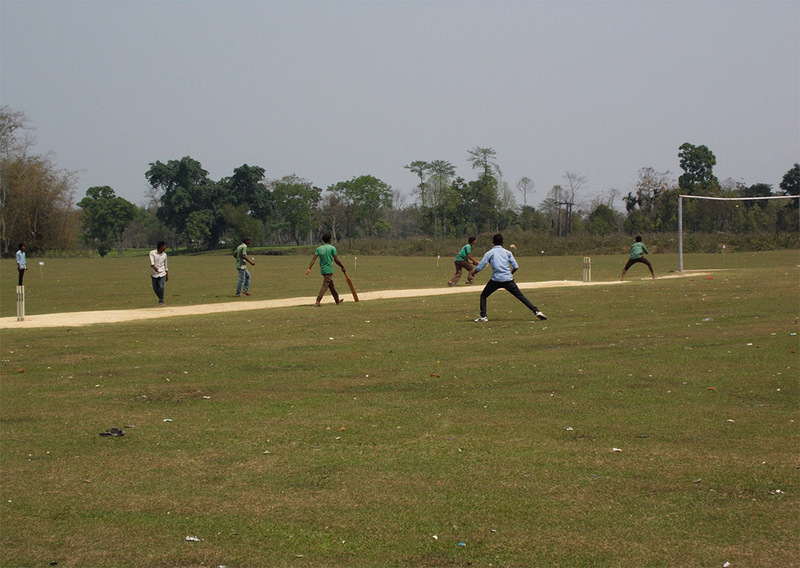 The estate is situated in the Golaghat District, and comes under the administration of the Kamrabandha Police station, Assam. The nearest railway station is Farkating, approximately 19 kilometers away; while, the nearest airport, which is in Jorhat, is situated about 22 kilometers away. The other estates that surround Borjan Tea Estate are the Sockting Tea Estate in the east, the Atthabari Tea Estate in the west and the Dakhinhengra Tea Estate in the north. 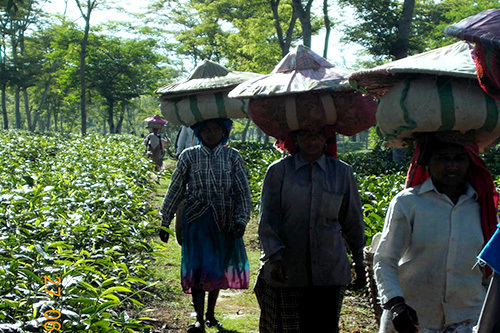 The Borjan Tea Estate is close to the Dhankhinhengra, a local market, which at one point of time, was considered as one of Assam’s largest markets. Traders used the marketplace to deal cows, buffaloes and at times, elephants, as well. At present, however, the market has lost its yesteryear’s significance and glory. Borjan is spread across 859.54 hectares. The tea estate has the capacity to produce 8 lakh kilograms of grainy black CTC tea which is the final product that it has to offer. The plucking season here, begins in March, runs through the rest of the year and ends in December. 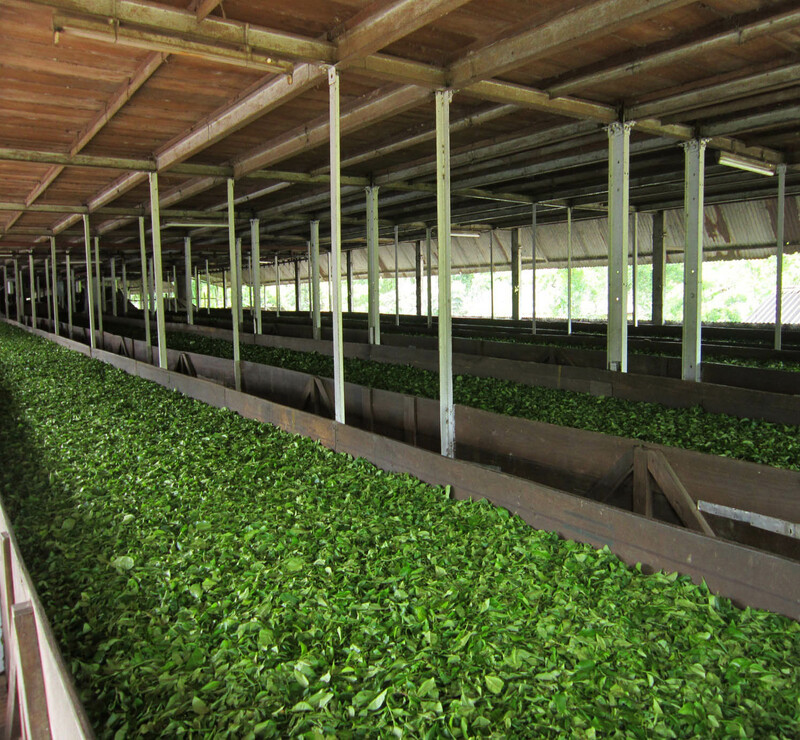 Fresh green tea leaves from the garden are plucked and processed in the factory which is located within the estate. The produce is manually sorted and individually graded. They are then packed separately into PP woven sacks, sealed and marked with hand-rollers using non-porous ink. The estate provides labour quarters to each of its workers. In order to accommodate the shortage, new quarters are constructed every year. Close to the labour colony, there is a centrally located hospital which provides them medical treatment as and when they need it. In addition to this, there are two dispensaries that look into providing primary care to the workers. The estate has also provided ambulance facility, with in-built oxygen supply equipment available in it. Preventive immunisation for workers as per government protocols are also methodically carried out. The estate has a highly dedicated medical team, lead by Dr. S. Das. The installation of government water supply in both the divisions of the estate, has helped in solving the problem of water scarcity. For the children, the estate has a government primary school. For those who wish to pursue their dreams of studying in a college can do so, as there is a college situated in close proximity to the estate. 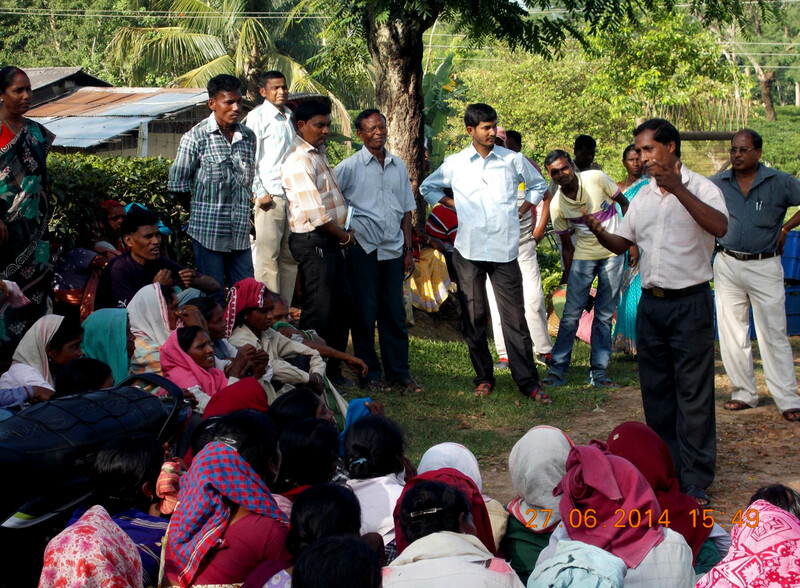 Mahila mandals and other dedicated link committees such as the Anti – Sexual Harassment Committee look into facilitating the community’s welfare. 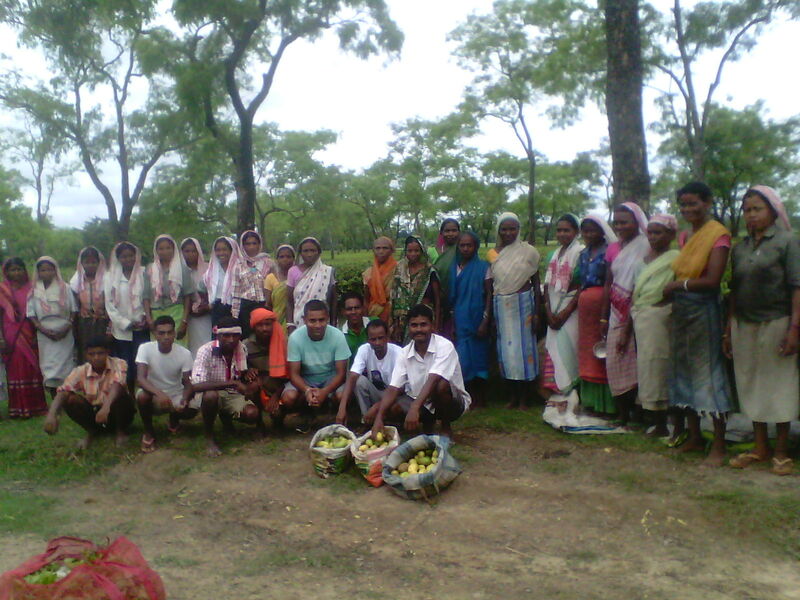 In the neighbouring villages, the estate organizes various labs to land programs in order to encourage harmonious relationship building among the different residing communities and to uplift the rural poor. Packed rations are issued to the workers to improve their quality of living. The Estate Employee Council Meeting on monthly basis to discuss various estate issues related to production & socio-economic welfare of the estate. The Borjan Tea Estate has endeavoured to keep its commitments towards protecting the environment and contributing in its own way to sustain nature. There is provision of electricity at all labour quarters with separate committees looking into the same. Chemical wastes and hospital garbage are disposed on yearly basis through government certified agencies. Soil analysis is done on a yearly basis at the R&D section of Teok Tea Estate. 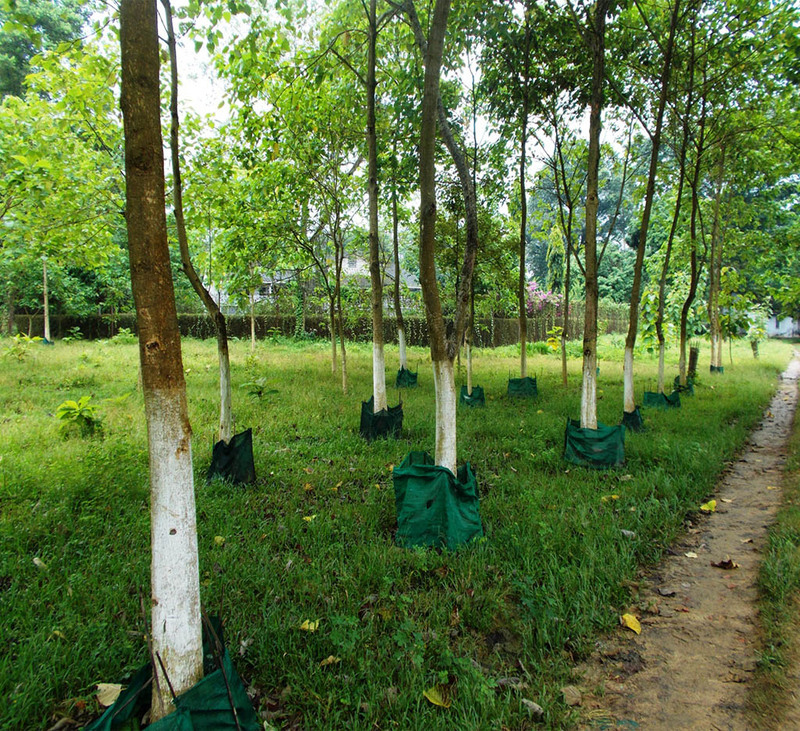 Manures applied in the plantation are as per their recommendations. The application of bio fertilizers has been implemented to reduce the application of inorganic fertilizers which cause environmental hazards.